OTTAWA -- The Canadian pharmaceutical giant whose sudden death earlier this month is shrouded in mystery is among the latest inductees into the Order of Canada. Gov. 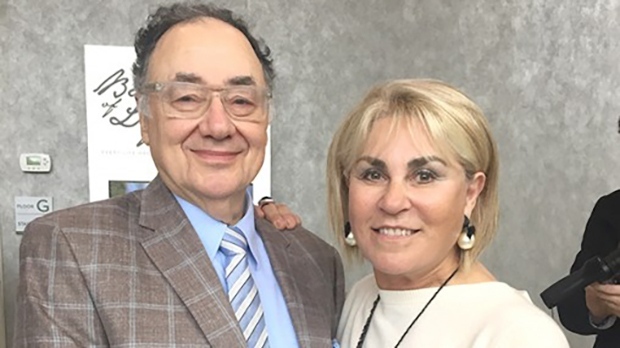 Gen. Julie Payette announced 125 new appointments to Canada's highest civilian honour Friday, a list heavy on Canadians with accomplishments in science and medicine, including Bernard "Barry" Sherman, whose generic drug company Apotex made him and his wife, Honey, among the wealthiest people in Canada. Both Barry and Honey were found dead in their Toronto home on Dec. 15, and their deaths have been deemed "suspicious." A Rideau Hall spokeswoman says a family member can stand in for Sherman at the investiture ceremony, likely some time in 2018. The lawyer representing the family did not respond to a request for comment. Rideau Hall publishes lists of new inductees to the Order of Canada twice a year. In 2015, the federal government made a $13 million, five-year commitment to overhaul all country's honours, including improving the representation among awards such as the Order of Canada. Slightly more than one-third of the names on Friday's list are female. Since its inception in 1967, 27 per cent of the inductees have been women. Among the well-known Canadians on the list: William Shatner, famous for his role as Captain Kirk on Star Trek and Academy Award-nominated Quebec film director Denis Villeneuve, both named as officers of the order Friday, while singer-songwriter Jann Arden was made a member. In a written statement Arden said she was "completely shocked" after she was told the news. "The Order of Canada is an honour indeed," she said. "I am a very proud Canadian and this is truly one of those moments where I am just in total disbelief and incredibly grateful to have been considered for this award." The list also features 14 Indigenous recipients including chiefs, community leaders and artists. Among them, Frederick Sasakamoose, who was the first Indigenous player in the NHL, and Chief Robert Joseph, who has been at the forefront of combating racism and intolerance towards Indigenous Peoples in Canada and is currently helping lead efforts at reconciliation. "I am so honoured," said Joseph. "I never dreamt in all my life this would happen to me." Joseph said growing up in a residential school left him "a person who had no sense of value or purpose to my life" and he hopes the fact so many Indigenous people are on this latest list encourages others who came down similar paths to believe they too have value and purpose. Former Supreme Court justices Louis LeBel and Thomas Cromwell are both being inducted as companions of the order, the highest of the three ranks recognizing national preeminence or international achievements. Officer of the order is the middle rank, recognizing national service or achievement, while a member of the order is recognized for outstanding contributions at a local or regional level or in a special field. Justices cannot be named to the order while they are still on the bench. LeBel retired in 2014 and Cromwell in 2016. Thomas Cromwell -- former Supreme Court justice. Louis LeBel -- former Supreme Court justice. Cornelia Oberlander -- landscape architect. Sally Armstrong -- journalist and filmmaker. Francois Crepeau -- law professor and former United Nations Special Rapporteur on the Human Rights of Migrants. Robert Joseph -- former executive director of the Indian Residential School Survivors Society and an honourary witness to Canada's Truth and Reconciliation Commission. Kenneth Lum -- Chinese-Canadian artist and educator. Lee Maracle -- Indigenous author, scholar and professor. Terence Hedley Matthews -- high-tech entrepreneur, best known for founding telecom company Mitel. William Shatner -- best known for his role as Captain Kirk on Star Trek. Denis Villeneuve -- Academy-award nominated Quebec filmmaker. Mark Breslin -- comedian and co-founder of the Yuk Yuk's chain of comedy clubs. Andree Champagne -- former Progressive Conservative member of Parliament from Quebec and later Conservative senator. Richard Dicerni -- former federal and Ontario deputy minister, and Clerk to Alberta premiers Jim Prentice and Rachel Notley. Stephanie Dixon -- swimmer and winner of numerous Paralympic medals. Jocelyn Downie -- professor with a focus on end-of-life law and policy. Red Fisher -- sports journalist known for his coverage of the Montreal Canadiens. Curtis Harnett -- Olympic cyclist. Judy Illes -- researcher in the field of neuroethics. 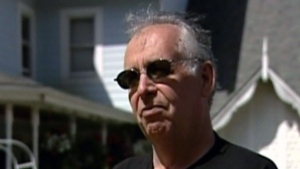 Bruce Kirby -- sailboat designer behind the popular Laser class sailboat. Karen Rochelle Mock -- former executive director of the Canadian Race Relations Foundation. Ahmet Fuad Sahin -- Muslim community leader and founding member of the International Development and Relief Foundation. Beverley Noel Salmon -- Toronto's first black female city councillor. Frederick Sasakamoose -- first Indigenous player in the NHL. Bernard Sherman -- founder of pharmaceutical powerhouse Apotex.